HDFC, one of Indiaâ€™s leading home finance companies, understands the evolving needs of the housing industry â€“ just like us, at VBHC. Caspian invests in socially responsible companies that place a high premium on meritocracy, transparency, ethical behaviour and practices. One of their focus sectors for investment is affordable housing. VBHC is one of the pioneers in this area in India. Carlyle Group, consistently ranked amongst the top 5 Private Equity players in the world, is an investor in VBHC at the parent level, bringing along its reputed connections from all over the world. International Finance Corporation, a part of World Bank, extremely fastidious about its investments, has chosen VBHC because of its focus on Sustainability, inclusiveness and value development. Tano Capital is an alternative asset management firm founded in 2004. Tanoâ€™s mission is to develop innovative investment opportunities in global hard assets as well as rapidly growing companies in India and China that will directly benefit from the domestic consumption growth in both markets. 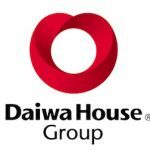 Daiwa House Industry Co. Ltd. is Japanâ€™s largest homebuilder, specializing in prefabricated houses. It is also engaged in the construction of factories, shopping centres, health care facilities, the management and operation of resort hotels, golf courses and fitness clubs. The company is listed on The Tokyo Stock Exchange and is constituent of the TOPIX and Nikkei 225 stock Indices.